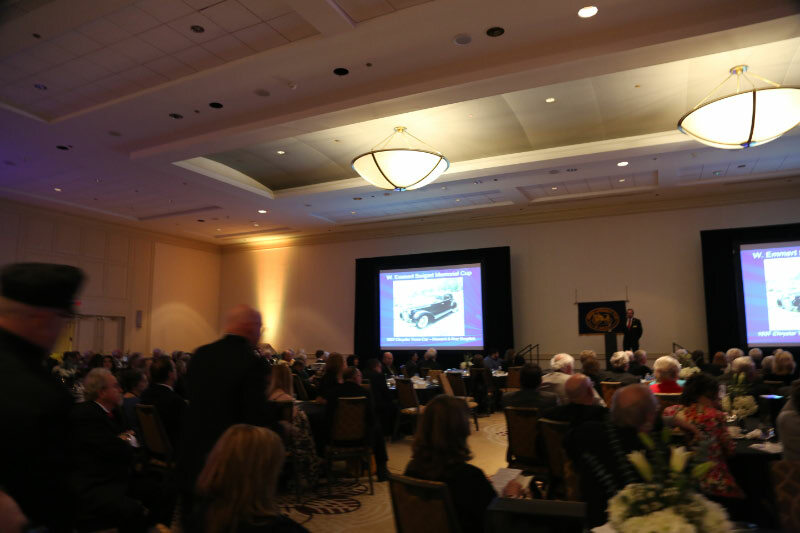 At last Saturday's 82nd Annual Awards Banquet of the AACA in Philadelphia , Pennsylvania, the 1937 Chrysler Imperial Le Baron Town Car built for Walter P. Chrysler as a gift for his wife Della received the 2017 W. Emmert Swigart Memorial Cup. 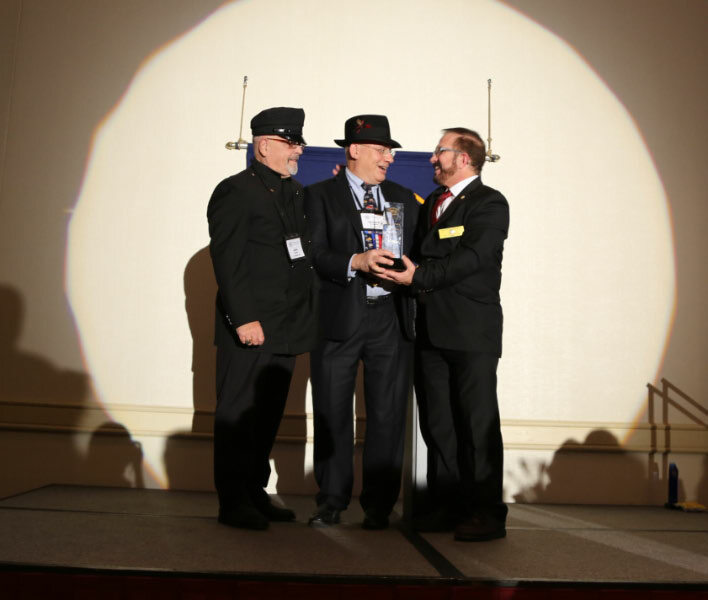 This national award is given to the outstanding restoration of a rare and unusual automobile entered in a 2017 National Meet. 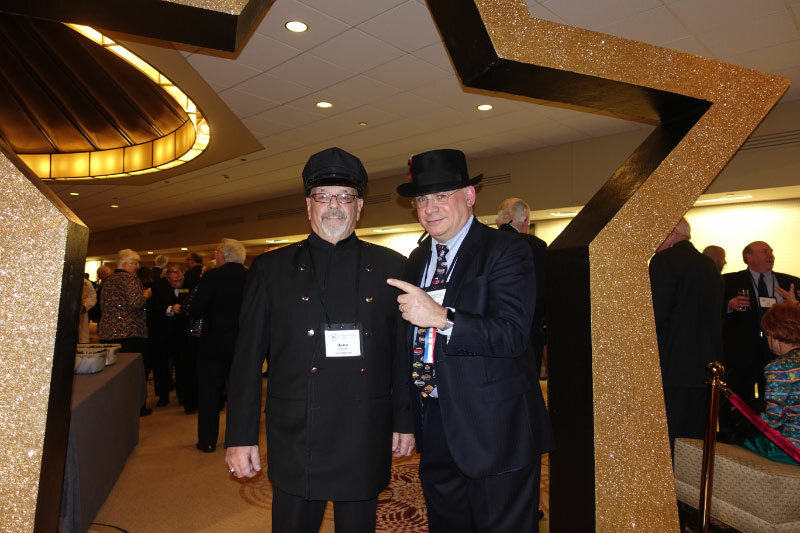 My trusty assistant John Cuocco and I went to the banquet as Walter P. Chrysler and his trusty chauffeur. 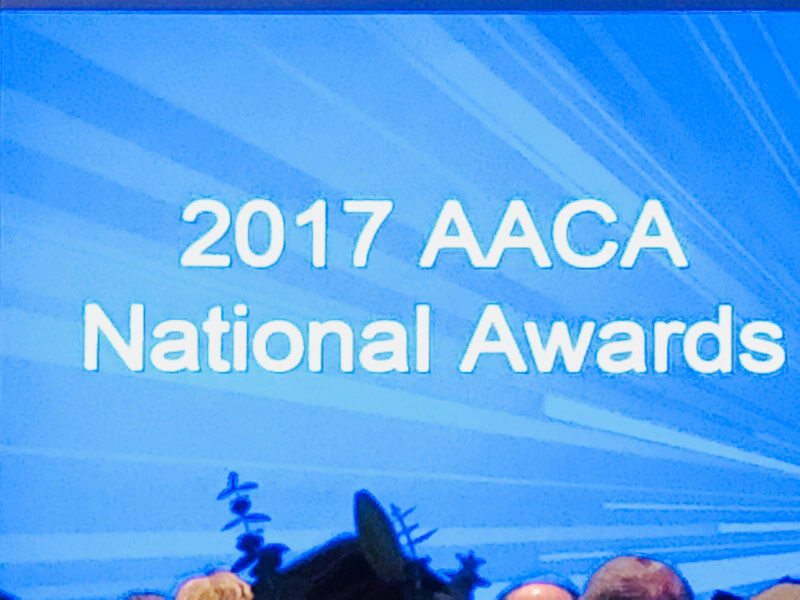 Watch John and I put on a skit as we received the W. Emmett Swigart Award from a surprised William "Tom "Cox, 2017 AACA National President. One-minute video courtesy of Dr. Bruce Levitt. Some family members celebrate the evening. I am so happy you and this magnificent car receive the recognition it justly deserves. Makes me feel good to know I was there when we pulled it out on a strap from the Vanderbilt museum and loaded it to go to the restoration shop in NJ owned by my good friend and fellow CCCA board member Steve Babinsky. Those trips to check progress of the restoration and see how amazingly well the car was made when new will always be a highlight for me. I have been heavily involved with classic cars since 1963 and this certainly is one of the most significant and magnificent cars I have ever seen. Thanks to you Howard it is now well preserved and you display it for all to see and enjoy. You have done us all a great favor. Congratulations to you and your wife. 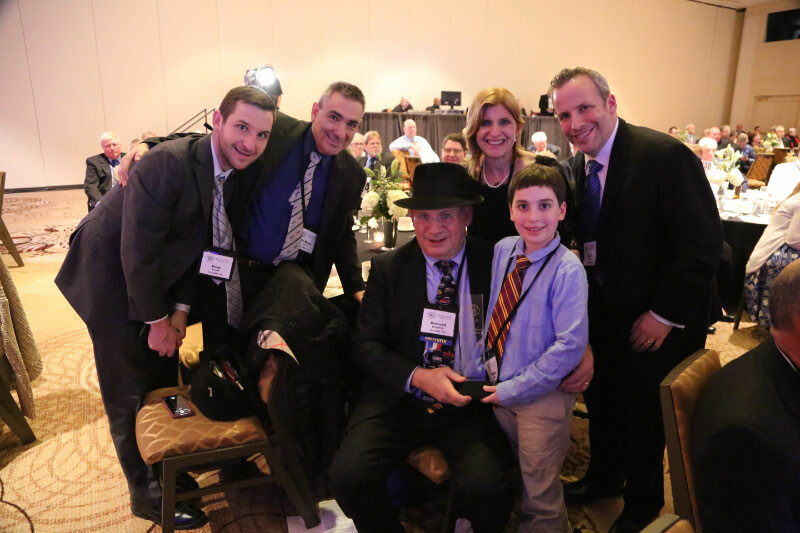 A well deserved award for your family. Thank you for all you do to preserve and educate all of us automotives enthusiasts. 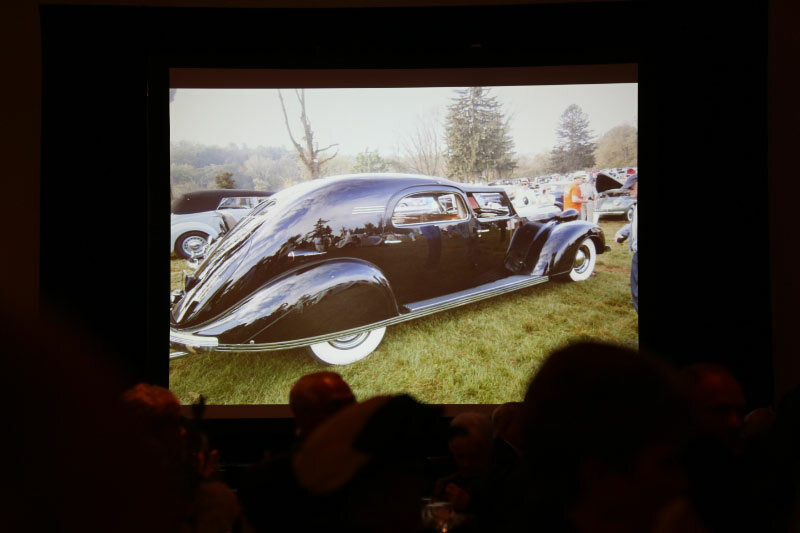 It is always wonderful to be exposed to new cars and information provided by you and your fantastic scope of friends and automotives preservationists. 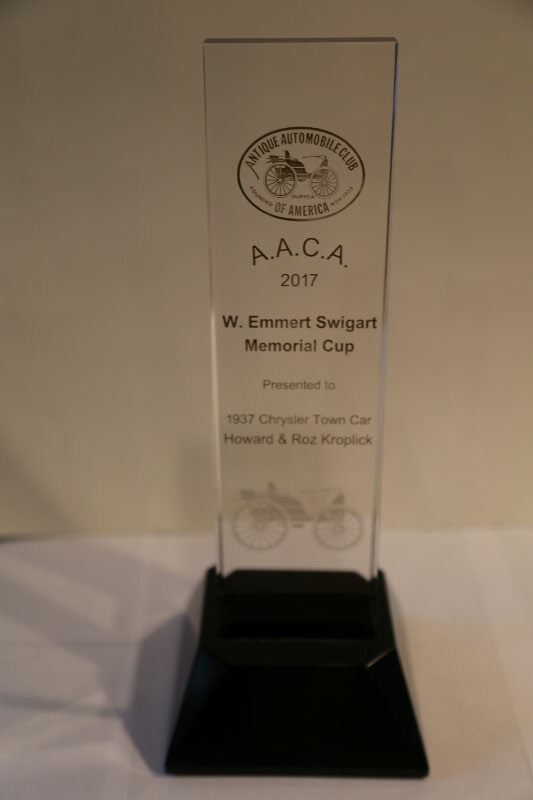 Congratulation on receiving the W Emmert Swigart award on your 1937 Chrysler. 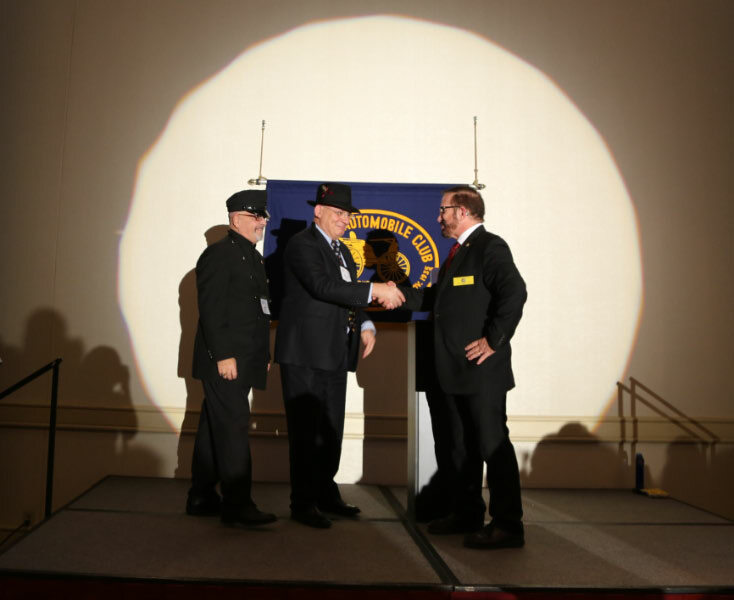 The award is give to an outstanding restoration of a rare and unusual automobile entered into the National Meet. The Swigart Car Museum owns two Tuckers, the Tin Goose and # 1013. I hope that your Tucker, # 1044 wins this award in the Future as it is a rare and unusual automobile currently going through an outstanding restoration.